In this post, we are going to fix Nokia 220 this is the wrong charger problem. Not charging problem or it shows no charging indication when the battery charger is a plug-in. 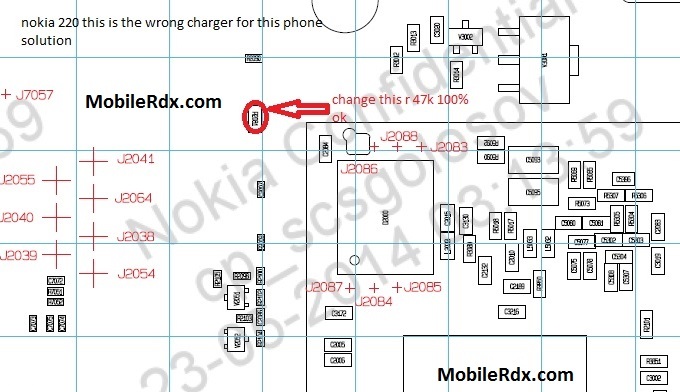 The solution below shows the charging connection line paths which can be used for easy troubleshooting or repair the Motorola Moto G XT1032 charging problem. If the same problem replaces charging connector and check. If same problem Check charging connector ways.